In this week’s episode, Hannah and Lucia interview our very special guest and dear friend Dr. Wendy Hurd, physical therapist and body mechanics pro. Listen as we ask Wendy how she came to where she is now, her yoga practice, and why mindfulness is such an integral part of her patients’ healing. 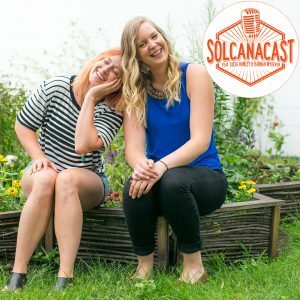 Don’t forget to TWEET us @solcanapodcast about how YOUR challenge of the week is going!